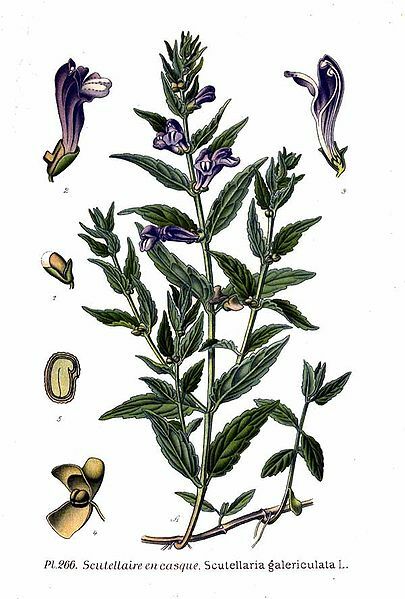 There are two different herbs that go by the name scullcap: American scullcap (Scutellaria lateriflora) and Chinese skullcap (Scutellaria baicalensis). It's also commonly known as skullcap. American scullcap has been around for more than 200 years. Its leaves have been used for medicinal purposes, including treatment for insomnia, cholesterol, epilepsy, convulsions, and anxiety. According to NYU Langone Medical Center, "skullcap was believed to function as an herbal sedative." There isn't enough current research to back up claims of American scullcap'seffectiveness. Studies on Chinese scullcap were conducted on animals, so it's unclear if humans would reap the same benefits. Both types of scullcap may interact with some medications, potentially altering their effects. For example, if you're taking sedatives, both types may increase the medication's intensity. Also, Chinese scullcap may alter the effects of diabetes medication. If you are taking any medication, consult your health care provider before using this product and find out how any new medication, whether over-the-counter or prescribed, will be affected by the plant. High doses of American scullcap tincture may cause side effects, including confusion, irregular heartbeat, giddiness, seizures, twitching, and stupor. Do not take Chinese scullcap if you have spleen or stomach problems. Do not take either type of scullcap if you are pregnant or breastfeeding. Chinese skullcap may lower your blood sugar. WebMD.com; "Skullcap;" Find a Vitamin or Supplement"